FREE International Shipping. No minimum purchase required. Free shipping everywhere except rural areas. Receive your item within 3-9 working days. Tracked and signature required. No Po Boxes. $9.99 flat-rate per item. Delivered within 7 working days (avg 2 - 6 working days). Tracked and signature required. No Po Boxes. Jump the queue from $35.00 onwards, we will prioritise your order and have the item delivered in 2 - 4 working days. Tracked and signature required. Rural addresses excepted, exact cost calculated at checkout. No Po Boxes. Rural delivery flat-rate $19 per item. Delivery is around 3- 9 working days. Tracked and signature required. No Po Boxes. Accessories and small goods are usually shipped free with any purchase of a Camera, Lens or Phone. This includes international tracked delivery and customs clearance using one of our premium couriers, which ensures your item/s are delivered securely, safely and promptly within the suggested business/working days*. Working days exclude Saturday Sunday and public holidays. 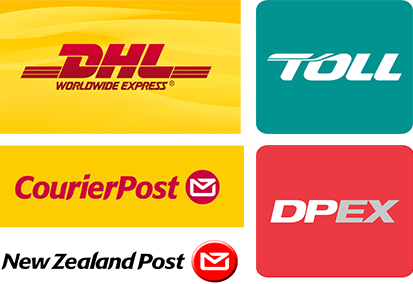 We use DHL Express, Fedex, Toll, Dpex, USPS, Courierpost, Post Haste and NZ Post. Signature required. We are not able to ship to a PO Box. Insurance shipping quote - please email us info@supero.co.nz. We do not have a physical store/showroom for pickups. If you are not happy with something you bought, we will either replace it or refund you. It's brand new and unopened, we’ll accept the return. A restocking fee and T& C apply, please see below. The only times we don't accept a return is if it is used or damaged by you, or if the product is returned incomplete. NOTE: If you open the item and find it is faulty or you received an incorrect item we will replace or refund. Please notify us within 24 hours if you have received a wrong product or it is Dead on Arrival (DOA). If we haven’t processed or shipped your package, please contact us promptly so that we can reverse the transaction. If we have shipped the item, then the 14 day, change of mind returns policy applies (see below for detail). I've changed my mind and I want to return my purchase, how do I do so? By NZ law, we do not have to offer your returns for change of mind. The above does not limit you in your rights under the CGA 1993. * Excludes courier, customs delays. We prioritise every order and will deliver as soon as we can. However, at peak times delivery may take longer than our targeted delivery time, your patience is greatly appreciated. **Where insurance is selected, and an item is lost or damaged in transit the full value of the order will be compensated, and a replacement sent without delay. **Where insurance is not selected, items are shipped at owner's responsibility, and any claims for lost, damaged or delayed items will be as per freight company (DHL, FedEx, Toll, NZ Post or Courierpost) T&C.